Lake Chala was created by a volcanic eruption that occurred in prehistoric times. The Lake is the remnant of the mountain that was destroyed during this eruption. 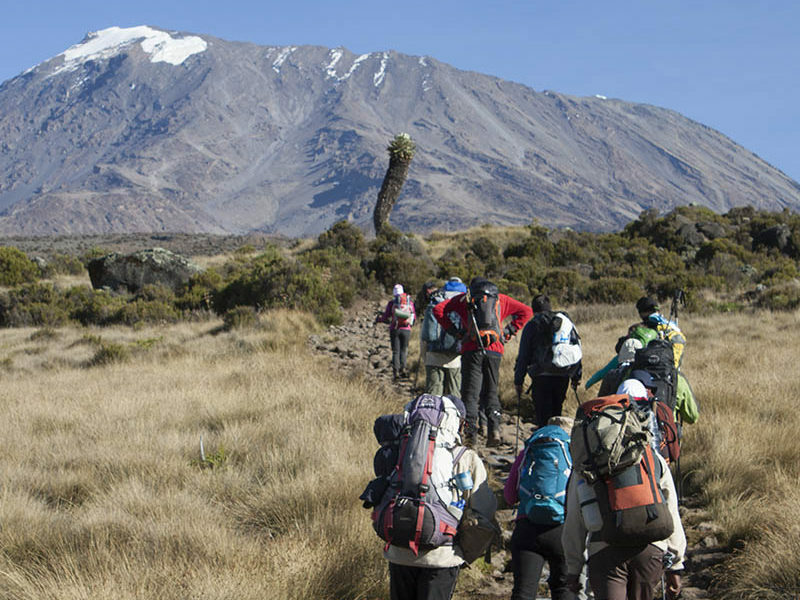 It is located on the borders of Tanzania and Kenya close to the town of Moshi on the eastern edges of Mount Kilimanjaro. The lake is protected by the crater walls which are 100 meters tall. Its color varies depending on the time of year from a rich blue, to turquoise, to green. The lake is fed by groundwater that comes from Mount Kilimanjaro. However, water levels have been dropping in the past few years and locals fear that one of the caves along the system that leads from Kilimanjaro to the lake has collapsed. 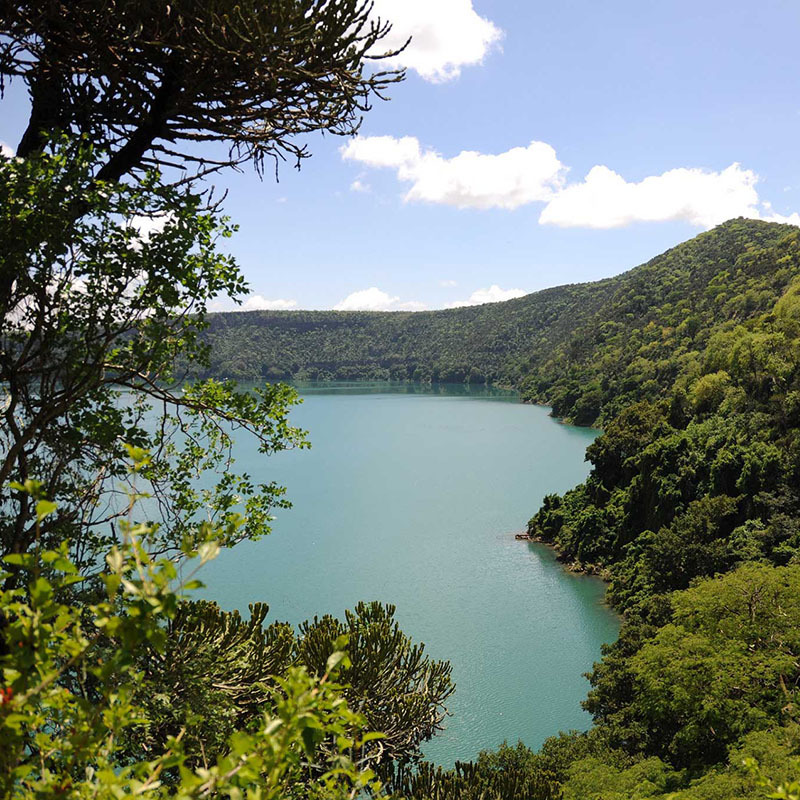 Lake Chala offers beautiful landscapes from its rim and its surface and has recently become a major tourist attraction in Moshi. Upon arrival you will see the beautiful private game reserve overlooking the Crater Lake. The local guide will take you down to the lake. Spend the morning bird watching, swimming, fishing, exploring, canoeing, kayaking (optional). You will have the opportunity to meet/see the local people doing their daily activity. The area is home to monitor lizards, baboons, monkeys, antelopes, elephants and many species of birds that live in this wonderful savannah land. We enjoy our picnic lunch out in the bush or at the lodge’s restaurant/bar depending on the activity you choose for the day. 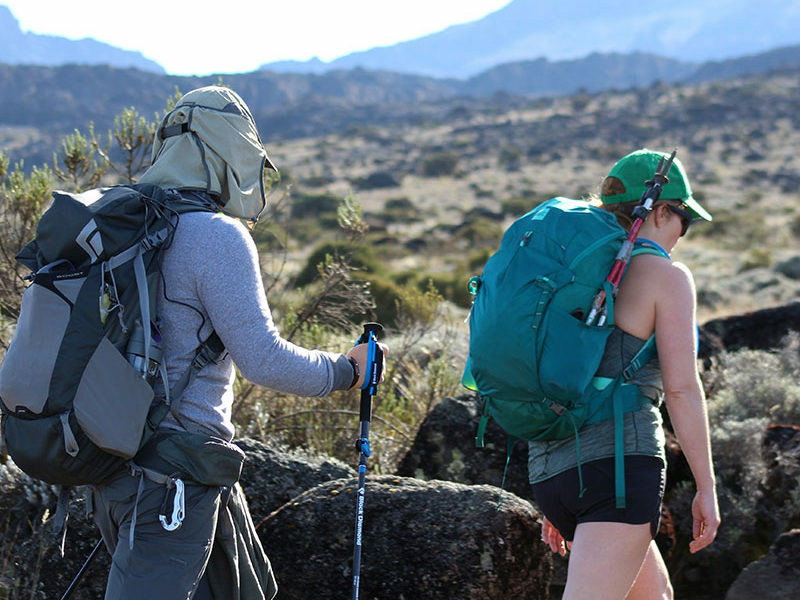 Relax at the partake one of the many possible hikes, walks to the lake, canoeing on the lake, bird watching, swim in the crystal clear water, kayaking across borders or simply enjoy the stunning vistas of an untouched Africa You will then be driven back to Moshi.